Are you struggling to draw a floor plan? Have a question about decorating a specific room in your house or just plain stumped? We LOVE to answer decorating questions! Ask away – you can even e-mail us a picture of your room with a specific question. Jayne and I love to share our passion for decorating. 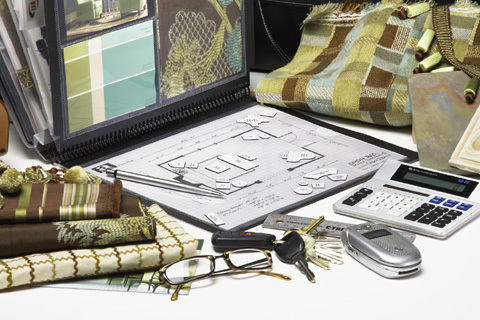 Don’t forget to check out the decorating tools and articles on our website as well. We even have free budget forms and Grid Paper that you can print to use for your project. Feng Shui and The Secret; Coincidence or Reality? As an Interior Designer I felt compelled several years ago to learn more about Feng Shui (pronounced Fung Shway) and took a class taught by Daniel David Kennedy, author of Feng Shui Tips for a Better Life. 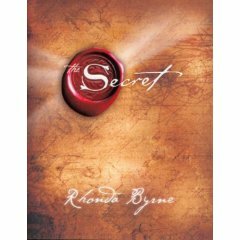 As a woman and entrepreneur, I am intrigued by the principles of The Secret, written by Rhonda Byrne, and recently discussed by Oprah and several successful woman who have applied it to their lives. What occured to me as I drove to the office this morning, is that both actually have a lot in common. If you aren’t familiar with either, I think they are both worth exploring. Here are my interpretations of each, how they relate to each other and how they might improve your home and your happiness. Feng Shui is said to be a powerful, effective method of changing your environment to improve your life. Kennedy teaches a form of Feng Shui that focuses on the Ba-Gua, which according to him, “lets you identify 9 important areas of your home which relate directly to you. These include Wealth, Marriage, Career, and others.” Feng Shui teaches you to examine your space and offers simple changes (or “cures”) that can transform the energy (ch’i) of your home, enhancing your peace and harmony. Those that have implemented ‘cures’ often report increased income, improved health and relationships. Interestingly, major corporations often incorporate Feng Shui into their offices and landscape – you just don’t realize it. If you see a fountain in the front of a building, beautiful fish tank in the lobby, or even artwork portraying fish or water, it may not be just because they look nice. My interpretation of Feng Shui is this: It’s about examining your surroundings, knowing what doesn’t ‘feel’ right within your home, using simple principles to create harmony and postive energy, and just as importantly; making purposeful changes with the intention of turning a negative area of your life into a postive one. Do I apply it to my home? Not as much as I would like, but here’s my Feng Shui story. Years ago, my husband and I decided to sell our first home and move with our children to another school district. The 3 kids and I moved into my mother’s house until the house sold so that theycould enroll in the new schools. My husband stayed at the house with the dog to finish some improvements until it sold. 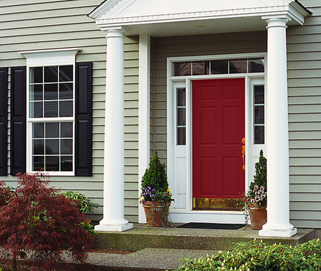 At the time, I was taking Kennedy’s class, and decided to apply what I learned by painting the front door red with the intention of inviting happiness and intending a quick sale. I should add that my husband was not a happy camper when he drove down the street and saw that red door. Nope, not happy at all. Until that is…a few weeks later, someone drove down the street checking out the area and asked him if the house was for sale. In a nutshell, the house was never listed, we got our exact asking price, my husband fell in love with that red door and my mother and I are still speaking. Coincidence? You make the call, but I think intentions are very powerful and best of all they are free. The Secret, as it applies to life is much the same. My interpretation of the basic principle of The Secret goes like this: Your thoughts and actions create energy that is either positive or negative. As you think, thoughts are sent into the universe and become your reality. Therefore, if you express gratitude daily; whether out loud or on paper and include statements of gratitude for what you specifically intend to come your way, you will be creating that reality. Here is my experience with the principles of the secret. Seven or more years ago, I created a collage with pictures of things I wished for, was attracted to or represented the life I desired. I put it away when complete, but several years later I pulled it out and was amazed to see how many things became my reality. One example in particular stands out. I had purposefully included the word Oprah within my collage. I wanted to meet her and be on her show. Because of a couple of ‘coincidences’, I was actually invited to the show with Dr. Phil and was wired for sound as I sat in the audience. Coincidence? I don’t believe in coincidence, but I do believe in the power of intention. Feng Shui and The Secret, in my experience are intriguing and definately worth exploring. It’s inexpensive and for some it can be lifechanging. At the very least, I promise that you’ll be happier just by the simple acts of expressing gratitude and stating positive intentions every day. Today I realized that Valentines Day is but 2 days away and I’m wondering what to do to make it a special day for the one’s that I love. It occurs to me, that making my family feel special doesn’t have to take alot of time or require a trip to the mall. The reality, is that my most memorable Valentine Day gifts weren’t a dozen red roses, but handmade gifts from my children or unexpected surprises. Those are the gifts I remember the best. So… in the spirit of creating memories, here are my simple, but from the heart Valentine suggestions, for the one’s you love. Tuck a brief hand written love note into a briefcase, backpack. purse or lunchbag. Title it 5 Reasons Why I Love You and tell your someone special specifically what makes them special to you. Surprise your family with dinner; complete with candles, a table cloth and your best china. Side note: If you typically have problems getting home in time for dinner (like I do, lately) surprise them and actually BE there on time for a change. Pick up some sugar cookie dough, cut it into heart shapes, bake and have a family decorating party complete with icing, sprinkles and sprinkles. Or, do the same thing with ice cream and make your own sundaes. The point here, is to do something other than the same old thing and create some special memories. PS. Don’t forget about YOU! Buy yourself a scented candle, a special journal, or Oprah’s new book club selection -something to nourish your soul. After all, you’re very special too! What do you think? One of my most read articles is Making a House a Home (you can find it in our Design Tips and Advice category). I’d love to hear if you agree with my definition or have one of your own! Happy Decorating!